Commercial Properties | Argus Environmental Consultants, Inc.
Asbestos is a naturally occuring mineral that was once used for insulation in commercial properties and housing. However, these minerals have been discovered to have adverse health effects. Argus has extensive experience helping building and facility managers evaluate and resolve indoor environmental quality issues. We have experience working with commercial real estate to test the range of contaminants within the scope of the Comprehensive Environmental Response, Compensation and Liability Act and petroleum products. Argus can guide you through the requirements of the many regulatory agencies that need to address a building's exterior and interior painted surfaces. Argus Environmental is licensed as a Mold Assessment Company and has extensive experience in removing mold successfully. The goal of a property condition assessment is to identify and communicate physical deficiencies to our client. This makes sure that the property is safe and follows guidelines. Our unique patented thermal imaging system is a powerful diagnostic tool. 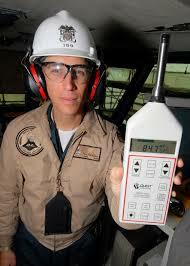 It is used to investigate damage or machine malfunctions without having to break anything down. Argus Environmental specializes in creating occupational and environmental safety training programs in a variety of disciplines. These include maintenance, repair, and safety. Argus Environmental specializes in providing written safety plans for commercial clients in all areas of manufacturing, construction, demolition, and renovation.